So what if Meghan Markle has a gray hair — or even dozens? The fact is, most of us over 30 — and a great many of those under — are used to seeing a few or more grays in the mirror every morning. 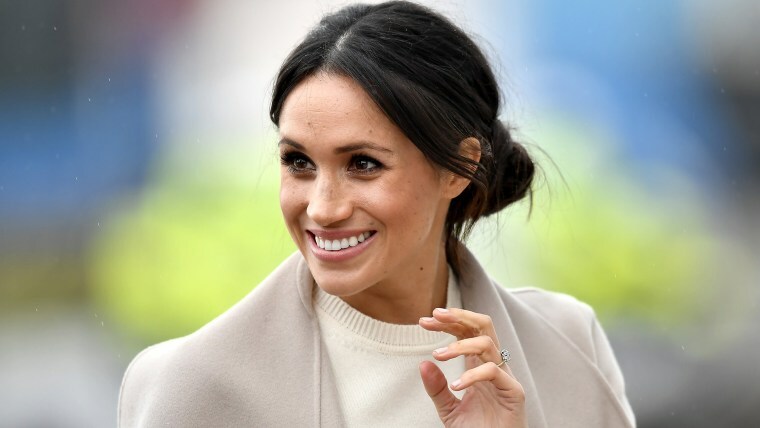 Meghan Markle has a prince of a partner, a wedding date in May and the constant attention of the international press. And, thanks to the latter, we now know about something else she has — a single gray hair. That detail came to light when one publication recently made the bold choice to point out the stray gray to their readers. The response on social media was swift, simple and went something like this: "So?" Here, have a closer look at the strand in question. While there's one gray front and center in the shot, eagle-eyed observers will note that even more tiny silver streaks appear to blend in with the 36-year-old's dark 'do. That's still a "so what?" situation. The fact is most of us over 30 — and a great many of those under — are used to seeing a few or more grays in the mirror every morning. It's not exactly noteworthy. That's partly because us commoners rarely rate headlines. But even on the royal-to-be, a single hair hardly seems worthy of the spotlight. At least Prince Harry's fiancee is in good company when it comes to this sort of thing. Markle's future sister-in-law, the former Kate Middleton, found her own grays highlighted on the covers of tabloids after she gave birth to Prince George in 2013. Her salt-and-pepper roots had some wondering if she'd made a concerted effort to ditch the hair dye while breastfeeding or if being a first-time mom left her just too busy to bother with it. Or maybe hers were showing for the same simple reason as Markle's and, frankly, the same reason as most people's: grays happen.